Hi there! 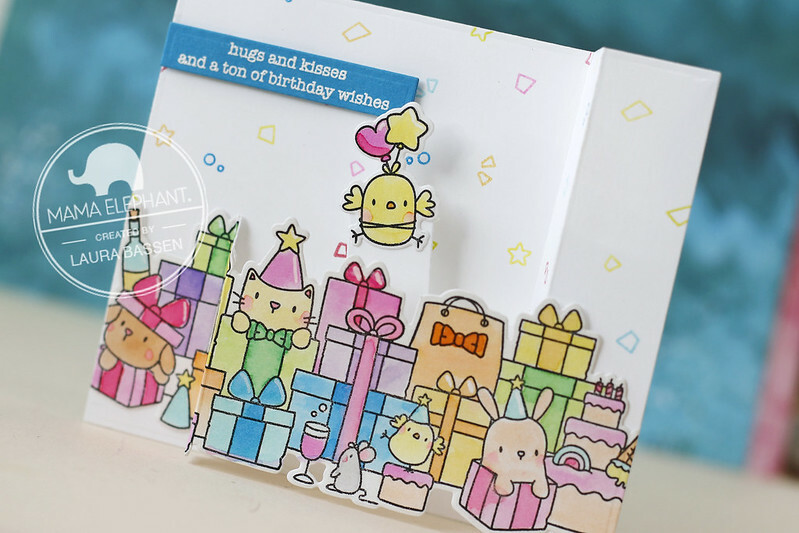 Laura here and today I have a fun interactive card to share with you featuring The Birthday Bash stamp set. To begin I stamped the image from The Birthday Bash as well as Little Chickie Agenda onto bristol paper with Versafine Onyx Black ink. I colored the images using Zig Clean Color Markers. 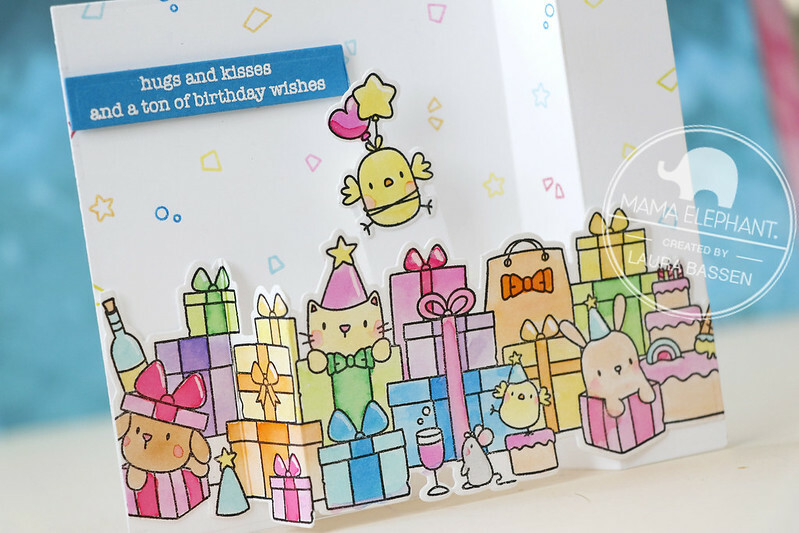 Using the Wiper Surprise-Creative Cuts I created this interactive card. 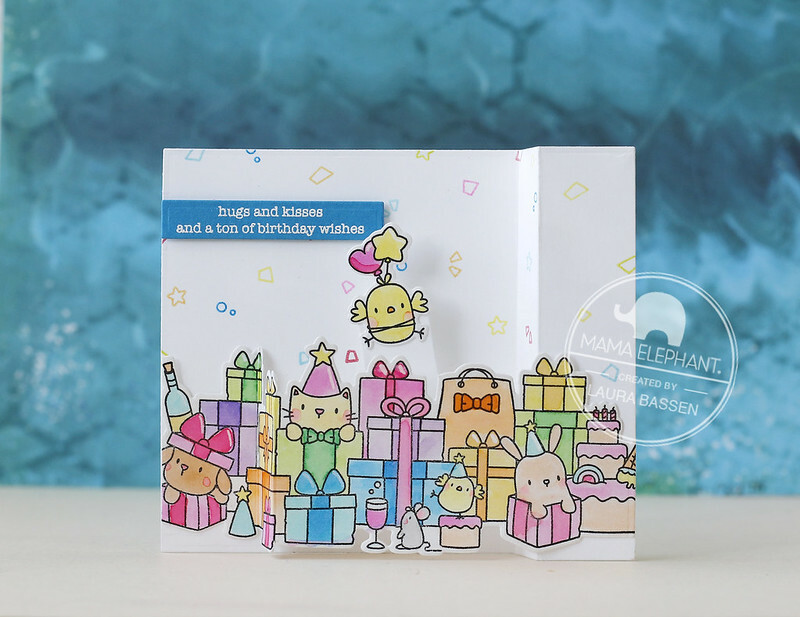 For the background I stamped some smaller confetti images from Party Animals using Mama Elephant pigment inks. 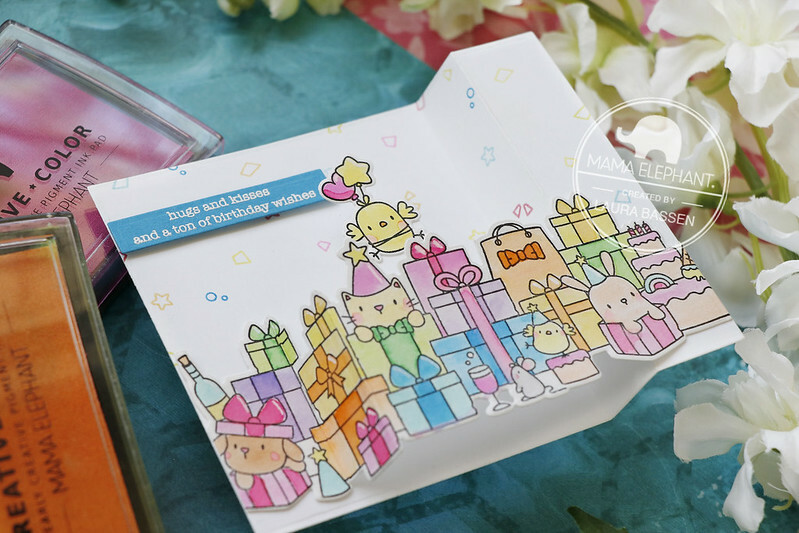 For the sentiment I used the Birthday Messages stamp set along with one of the Sentiment Strips-Creative Cuts. Hope you enjoyed this tutorial. Thanks so much for joining me, and have a wonderful day! So adorable - Laura always has really cool ideas! Adorable scene with these little cuties!! !